PLAY NOW! 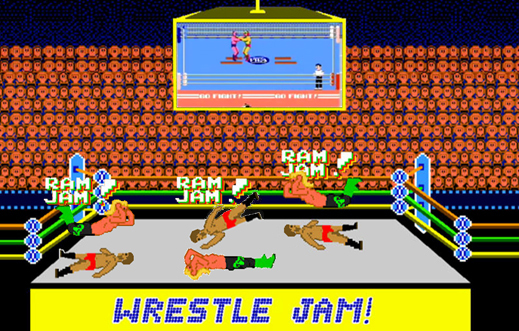 WRESTLE JAM! BIG MINING CHAMPIONS FLEX THEIR MUSCLES! WATCH THE GUINEAN GOVERNMENT GO TO THE MAT! WHO GETS UP, WINS! The west African republic of Guinea has never before been so important to Russian mining companies – and to the even bigger internationals. So when Guinean voters go to the polls for the runoff round of their presidential election, much is at stake – and not only for our Russian champions, Oleg Deripaska and Alexei Mordashov. The Guineans already know it. That’s why there has been trouble over fixing the poll date. The ballot was to have been held this Sunday, September 19. But it has been postponed by the state electoral commission for technical and logistical reasons. The campaigns of the two runoff candidates have also been charging each other with plans to rig the outcome; there have been demonstrations, and some local violence. A meeting this Thursday of the electoral commission that was to have fixed the new poll date didn’t happen. So for the moment, there is no date for the election, and no telling what will happen next. In the runoff, Cellou Diallo, who won almost 40% of the first-round vote in June, will face Alpha Conde, who took 21%. In the final days of the campaign, Conde has hinted that if elected, he may take a softer approach toward the international mining companies than the present government. But until the new president is elected, that leaves the all-party transition prime minister Jean-Marie Dore, and the Mining Minister, Mahmoud Thiam, in charge of the contest that Deripaska and Mordashov have been making out of their concession rights, asset valuations, and obligations to the Guinean treasury. For all rounds in their bouts until now, click here and read on. Roughly 20%, possibly more of Rusal’s asset value is in the mines, alumina refinery, and unmined bauxite deposits the company claims in Guinea. About 30% of Severstal’s current gold production, and almost 50% of its estimated resources, are in Guinea. Just how important Guinea’s gold has become to Mordashov was revealed this week when his men started briefing institutional investors for a preliminary roadshow of the Severstal Gold initial public share offering. Slide 6 reveals that the Guinean gold project called LEFA, which Mordashov took over when he bought out Crew Gold early this week, is at the very top of the gold-producing assets Mordashov now wants to sell in his IPO. The current management guidance from Crew Gold shows at page 1 that first quarter gold production this year was 47,321 troy ounces. What has happened in the new Severstal presentation is that this has been rounded up to 50,000 oz per quarter and turned into 200,000 oz for the year, making Guinea more important than any other gold-mine country to Mordashov. Analysts and investors anticipate a similar process will applied to the Guinea gold resource count, but as reported here, Mordashov cannot count the chickens that (a) haven’t been hatched yet or (b) have already been given to someone else. The Guinean government is thus in a position to decide what size fortunes our champions are wrestling for, and what size purse they can take away. The correspondence between Prime Minister Dore and Rio Tinto over the Simandou iron-ore deposit, one of the world’s largest, provides a playbook, which the Russian champions should be studying carefully. On September 9, Dore sent Rio Tinto a 3-page letter carrying a rebuke for foot-dragging and repeated violations of Guinea’s mining code. The letter is a sign that whoever wins the runoff in Conakry, the Guinean government is determined to impose its will on the mining companies in general, and Rio Tinto in particular, as the price for starting up the mineral and metal concessions they have signed for. The Prime Minister’s main demand is that Rio Tinto hand over to the government full documentation it has prepared on the mine project, including the project feasibility study, capital and operating expenditure estimates, environmental studies, and the text of the joint-venture accord recently signed for the mine project between Rio Tinto and the Chinese metals conglomerate, Chinalco. Despite earlier government requests for these documents since June, Dore wrote, there has been no handover. “Furnishing of these documents is mandatory, without delay, according to our mining law,” Rio Tinto was told. Sources in Conakry have told Business Day they believe Rio Tinto has been concealing the full size of the iron-ore reserves it has found at Simandou. The London-based Anglo-Australian mining company began exploring Simandou in 1998; in April 2006 the company said it had received the right to mine, but this was challenged by the Guinean Government in mid-2008. Last year, Rio Tinto’s rights to blocs 1 and 2 of Simandou were revoked for failure to meet investment and other conditions of its concession agreement. These blocs were then awarded to Beny Steinmetz Group Resources (BSGR); Steinmetz is an Israeli entrepreneur with diamond and other mining interests in central Africa. In April of this year BSGR announced a joint venture to develop Simandou blocs 1 and 2 with the Brazilian mining giant, Vale. Rio Tinto is now under pressure to retain mining rights for blocs 3 and 4. According to Dore’s letter, “the policy of a freeze on Simandou mining resources that you have delibertately programmed…will not be tolerated.” Rio Tinto is reported to be lobbying in Conakry to recover blocs 1 and 2 from the new president, when he is elected. According to the company, “we have spent $680m to date on the project and recently announced a further $170m investment. With our joint venture partner Chinalco we are pushing ahead with developing this large and complex project. Rio Tinto is confident that it has performed all its obligations in compliance with the Mining Convention and, where applicable, the Mining Code.” But is this a new financial disclosure – one which, according to the Guinean government, Rio Tinto has been refusing to provide since June?